I just thought there needed to be more relaxed conversation in this forum.... Plus its better than talking about Fortnite or some new homebrew that nobody knows how to use! Haha! My PC is ancient: Intel i7-920, 18gb of DDR3, Radeon HD5800? and an Intel SSD. 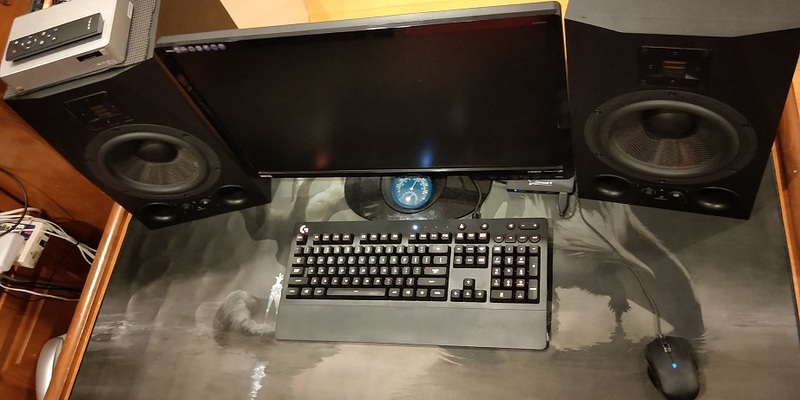 The speakers are Adam A8X, DAC is an SMSL SU-8, Keyboard is something by Logitech, Mouse is some crappy Razor thing. My giant mouse-pad is custom. 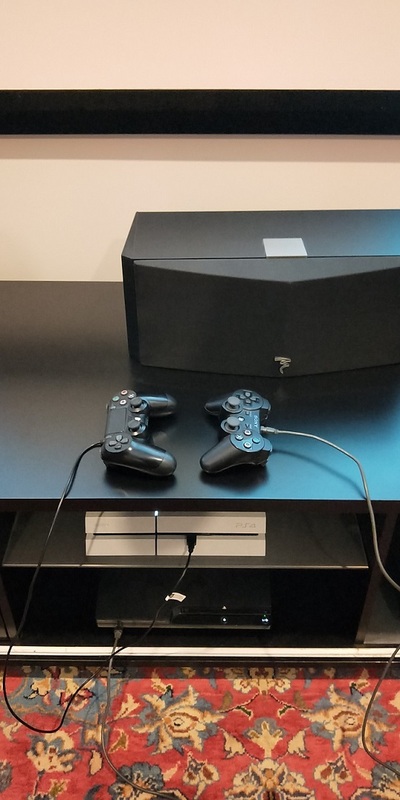 Uhhh what else... My PS3 and PS4 are both jailbroken (obviously) and customized to their maximums and are running through a Marantz amp with Focal speakers and into an Epson projector! How exciting? Showww mee whaatt youu gootttt! xoxo5527, Leeful and bluemeanie23 like this. Will check back for the pics, it appears the site hosting them is down at the moment. why didnt nobody shared pics ? Most don't take the time to reply on forum threads unless it's something they're particularly interested in... mainpage articles do a little better since more people see them is my guess. I guess I'm still living in 2005 where posts like this would have gone nuts. Even desktop screenshot ones were popular. Ahh yes customizing XP... the good old days. my desk, my main pc is a i7 8700k and a crappy gtx 1060, I should get a 1080 but I figured I would just hold off until the rtx cards and games are a proper thing. most of these are spread around the house now but I still have 2 on my desk for testing. this is my home built server, its just a i7 6700 with about 80tb of storage. jwooh, lotus78, BwE and 5 others like this. 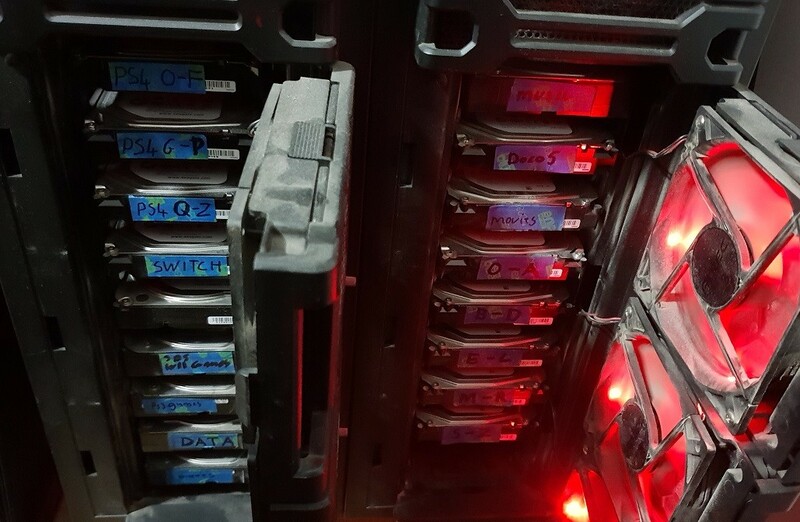 @stooged - "just a i7 6700 with about 80tb of storage." 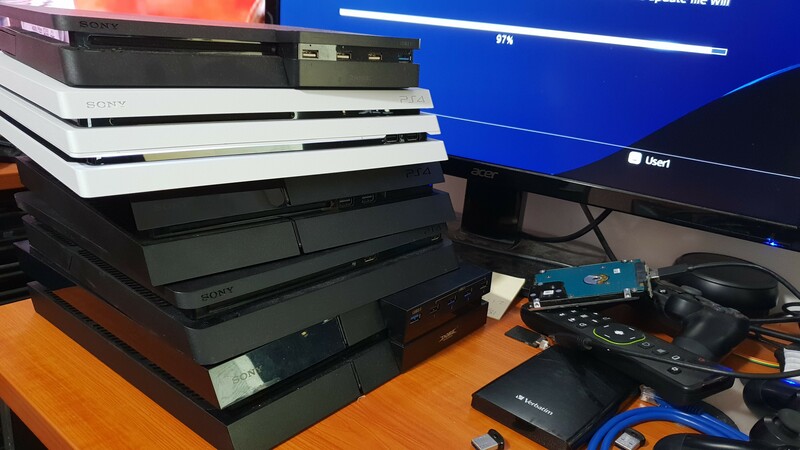 You have quite a collection of PS4s! Are they on different firmwares by any chance for potential exploit potential? @stooged Hahah thats all over my 10tb! Want to send me a copy of some of those HDs? It's now Apr 22, 2019 at 6:20 PM.